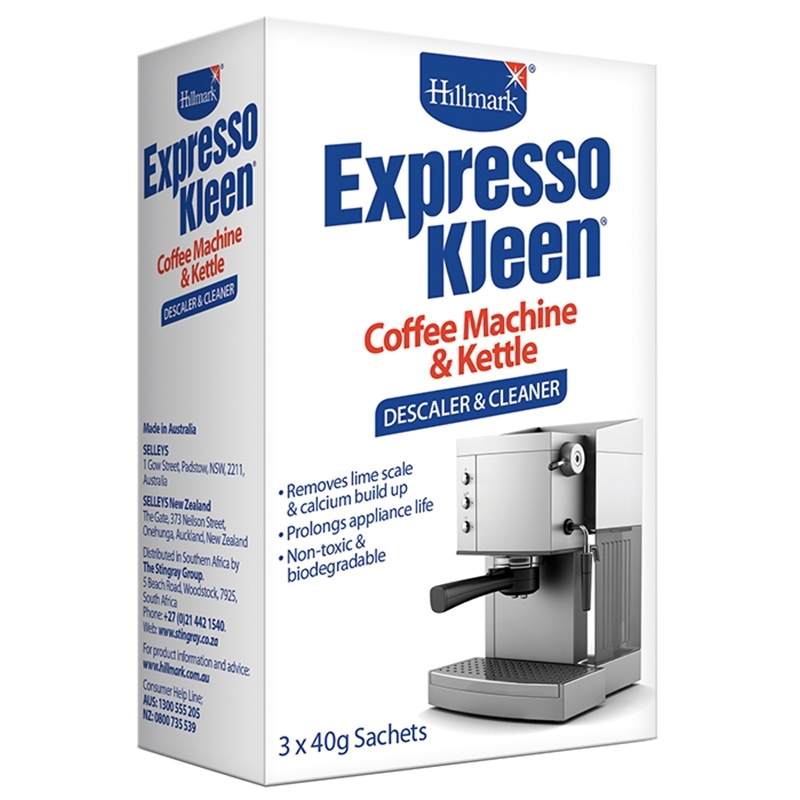 Hillmark Expresso Kleen is a powerful, yet gentle descaler, which removes lime scale and calcium build-up in kettles, coffee machines and urns. 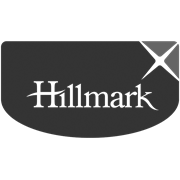 It is important to regularly descale these appliances to keep them running at optimum performance and to prolong the appliance life. 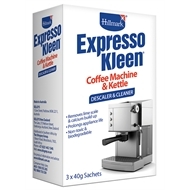 Use in coffee machines, kettles, urns and electric jugs. Not suitable for use with aluminium applicances. Refer to directions on sachet.